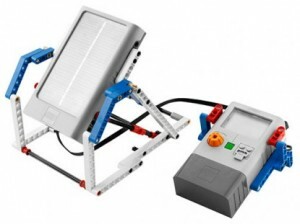 LEGO toys is embracing renewable energy by adding new solar, wind, and water power to their Simple & Motorized Mechanisms Set. Kids can learn about renewable energy with hands-on fun. LEGO Education offers fun LEGO kits that teach kids while they are having fun. One of the most popular of these toys has been the Simple & Motorized Mechanisms Set, a LEGO kit for kids ages 8 and up that teaches them about machines and mechanisms. 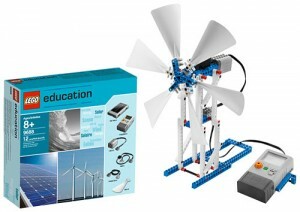 Now LEGO is making this kit a little more green with their new Renewable Energy add on kit. This kit lets kids power their LEGO machines with solar, wind, and water power to watch them go. When the Renewable Energy Add-On Set is combined with the customized activity pack, students will explore renewable energy sources; investigate energy supply, transfer, accumulation, conversion, and consumption; and use measurements and data analysis to describe and explain outcomes through hands-on activities and exciting, real-life models. LEGO has long been proud to combine building fun with educational moments for kids, parents, and teachers. They understand that kids learn best when they are involved and having fun, which is the basis behind their many working toys. LEGO Education offers toys and games to supplement science, technology, engineering, and mathematics in both the classroom and the home.